Growing up I suffered from an extreme version of the common skin disease exzema. Exzema can basically be referred to as an intense rash that doesn’t go away. While it can’t be cured it can be managed, with ointments and creams and medicine. But once you have exzema you are stuck with it for life. My exzema was a little different than most cases. As with most I would get the rash and I would itch and itch but it wasn’t just a simple scratch and then I’m done. I would scratch until I bled… Then scratch my bleeding legs more. I would mindlessly pick off scabs so I could scratch the skin underneath. After years of doing this, basically all of my formative years I developed many deep scars all over my legs and arms. My parents tried everything, dermatologist after dermatologist, they would make me sleep with gloves on to not scratch in my sleep, they tried punishing me in hopes that I would stop, but nothing worked… When I had an itch I was going to scratch it until I bled and worse. As I grew older my exzema got better, but that didn’t do anything about the scars that I already had all over my body. 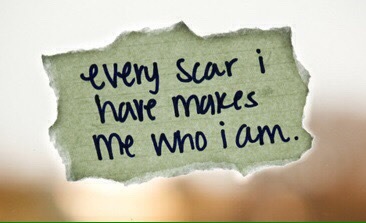 This began a 12 year and counting battle with scars. It’s summertime. I’m 9 years old. Going to pools, road trips, sleepovers, running around in shorts and dresses. As a 9 year old I didn’t know how to handle these comments. So I would just yell “nothing!” And continue about my day. But the questions kept coming, from kids, from adults, even from my cousins. After a few years of feeling ashamed for my imperfections, I decided it was time to only wear pants and that’s it. I started to fail gym because I didn’t want to change into shorts, so I would take a failed class participation grade everyday. I would constantly long for winter and fall so that everyone would be wearing long pants and I wouldn’t be singled out. Cold weather means pants. It may be the reason I still love cold weather to this day. But after a few years of being uncomfortable in pants all the time, I needed another approach. Luckily, I still had one more option up my sleeve to hide my imperfections. Now, while this seemed like a good idea at the time, make up isn’t created for your legs and your legs and arms have different skin tones than your face. So I’m sure you can imagine that finding a makeup that matched my legs and was dark enough to cover the scars was next to impossible. I’m now in high school. Every morning before I went to school I would slather my legs in make up. Make up that rubbed off everywhere, make up that was so clearly a different shade than my skin. If people rubbed against my legs accidentally they would get make up all over their clothes. I would get teased even harder. I avoided pools and beaches and outdoors activities for years. 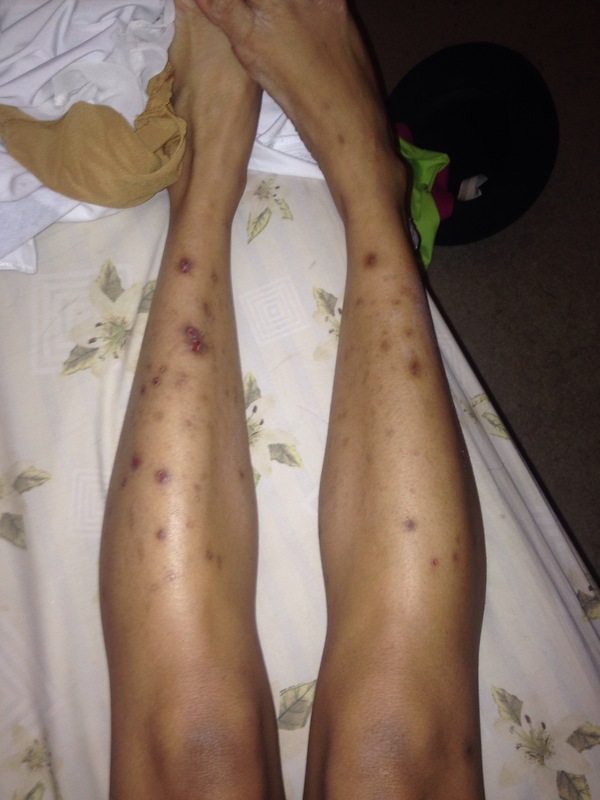 The only time I would go outside was to tan so that my skin would become dark and my scars would look less alarming. It wasn’t until my senior year of high school that I said enough is enough and just dealt with the stares and the questions because at least I was finally free. As humans, imperfections scare us. We try not to let it happen but the fact of the matter is, it does. You see someone in a wheelchair,you stare before quickly realizing that staring is rude. You see someone missing a leg or an arm, you quickly stare and look away. But what we don’t realize is however quick we think these glances are, they aren’t for the person you’re glancing at. It can feel like someone is laser focused on your imperfections in what they may think is a quick glance. We get uncomfortable about things that “aren’t normal,” which leads to rude questions, teasing and staring. Now unfortunately, I can’t give any advice for how to stop humans from being uncomfortable around imperfections. It’s human nature. But for people with “imperfections” here’s my advice to you: don’t let the fear of how other people react to your differences stop you from living life how you want it. 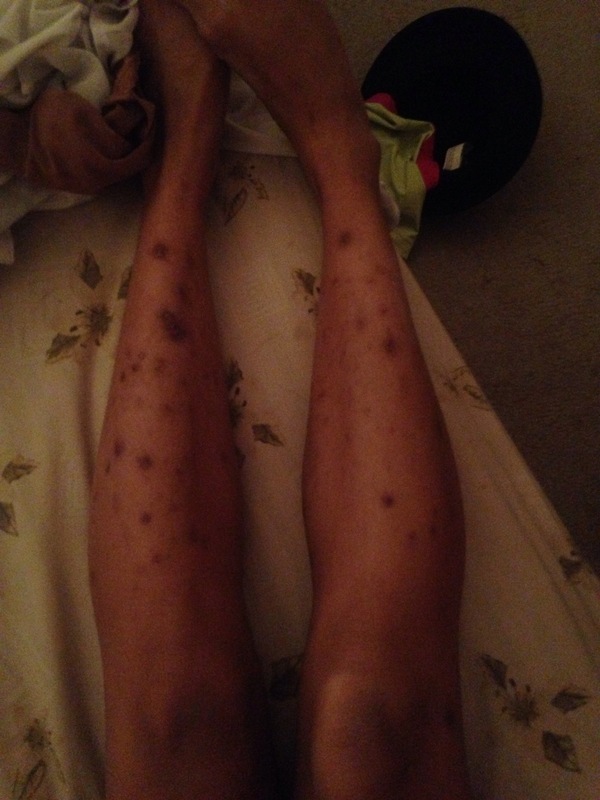 I still get questions about my scars all the time, to which I respond “I had a skin disease called exzema.” The conversation usually ends there but sometimes people ask what exzema is and then I raise awareness, so maybe the next time they see someone with scars like mine it won’t seem so abnormal. You’re imperfections give you a story. They add to your character. Embrace your imperfections and love yourself and they way you were made. And I promise you if you do that every single day, no one will ever be able tear you down again. It’s been a year since I wrote this post that started it all, in the past year I am happy to say that I haven’t touched drugs since and am quickly on the road to making my dreams happen again. I wanted to share this post again as a reminder to myself that if I pulled myself up out of my darkest time once then I can do it again. Thank you all so much for your support this past year! So here is Walking Underwayer, the first blog post I ever wrote. We hear it all the time, & now it’s one of those cliche jokes you laugh about with your friends. The line is usually followed with laughter & more joking. I’ll say this once – Doing drugs is like walking underwater. But for me it became so much more than that. Personally speaking, doing drugs ate away at my life, my spirit, & my happiness. Drugs make you feel amazing, like everyone loves you, like nothing in the world is wrong, like you can conquer anything, like you’re surrounded with love. Until the high is over. I re read the first post I posted through this blog. That person was depressed, sad, full of self loathing, pain. I was questioning everything about myself. I got to a point in my life where I would waste hundreds of dollars on going out for a night of fun. Thinking I was one of the cool kids. Thinking people were envying the life I was living. I became so consumed with wanting to get fucked up that I became reckless with my life. Testing how far I could push myself, getting messed up to push away the feelings of pain the drugs left me with after the comedown. I was a shell of wasted potential. I lost over a year of my life trying to walk underwater. & I’m happy to say that that person is not me. It is a process, as with everything in life. I had a tough year but I’m starting to recognize myself again. I’m erasing all these labels from myself. I’m making changes in my life & there’s a light in me that I thought I would never find again. I have plans, I have a dream I’m ready to pursue. I’m maximizing on the potential I know I have. I’m becoming the person I know I can be & I’m on the road to real happiness – not the happiness that comes from pills, powder, & rocks. The happiness that comes from within. The happiness that comes from taking my life back into my hands & out of the drugs. Where I miss you the most. I don’t want to remember you. But how can I forget. I told myself I wouldn’t be yet another blogger to write a post about the New Year. I have decided this year to follow my dream. But at this time in my life I have nothing to lose but time. And I don’t want to waste anymore time not following my dream. 2015 was a hard year. I applaud myself for getting off drugs for good and for starting this blog, but last night when I was thinking of the things I accomplished this year I couldn’t think of much and that killed me. 2013, 2014, and 2015 were the hardest three years of my life. I’ve been lost, lonely and scared for three years. It always seemed so easy for everyone else. They had one passion, one pathway to success. I always envied those that knew what they wanted to be and headed off to college knowing exactly what steps they had to take to get there. Picture yourself with a dozen different interests, everything from sports to writing to music to law to fashion, you have so many things you like and so many things you could potentially be good at. You’ve dabbled in so many different things that you haven’t developed the skills you need to be successful in one thing. But that’s okay because you still are young and have time right? Then one day before you’re even legally an adult your school counselor says pick one thing and that’ll be your career. How lost would you be? Especially when the one thing you have the most passion for is the hardest industry to be successful in. Think about that feeling for a second and that is how I have felt for the past three years. I’ve been meandering through life scared and feeling left behind. For three years I have felt sorry for myself and lashed out because of it, getting myself into lots of trouble along the way. I got stuck into a routine. It was a routine that I knew I didn’t want to stay in forever but I was to scared to do anything about it. I was scared of trying something new and failing. It killed me to see that my path was moving so much slower than everyone my age. I spent everyday in regret that I wasn’t like everyone else who was able to pick their career in high school and start to make it happen. I would always think, “I wish I had done this in high school, I wish I had taken this more seriously.” I felt like it was “too late” for me and everyday would wonder why everyone got to move forward but me. I have so much time to get my career on track even though the world has made it seem to me that since I’m not graduating on time with my class that I’m destined for a life of retail. I know I can do better for myself. So what will Kathryn be like in 2016? I’m going to stop hating my life and stop sulking and DO something. This year I am going to push forward with music with all I have and I know if I give it all I have, I’ll make it… I just don’t know when. But I know I will. I will need all the support I can get. I promise myself to never give up. I promise to focus on myself and not the people around me. I promise myself to not let failure bring me down. I promise myself to work hard everyday to craft myself even when I don’t want to. I promise myself to take risks. I promise not to become the best musician, but the most dedicated. 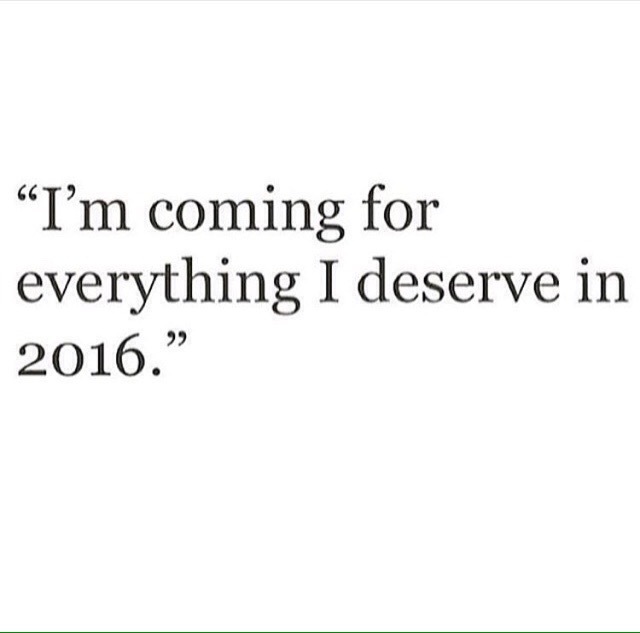 Here’s to 2016 and to following my dream. Growing up I always struggled with fitting in. It wasn’t that I couldn’t make friends, I had a lot of different types of friends and friend groups. Church friends, cheer friends, party friends, work friends, school friends, basketball friends, theater friends , the friend group from the summer of ’09… The list goes on. But even surrounded by friends, I never thought I fit in. Plans made without me, group messages I wasn’t included in, always the last to be invited. 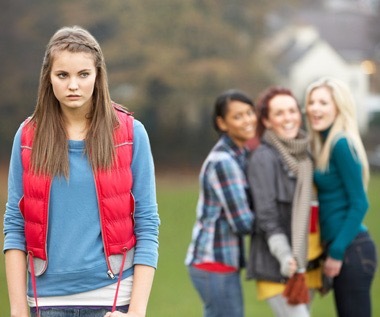 When I felt myself getting edged out of a friend group or when I found out how much I was left out, I would drop them. Cold turkey, without ever explaining why, which caused even more problems, constant having to avoid people and questions. But no one knew that I wasn’t dropping people just to be mean, it was because I was worried that if I got edged out anymore that they would just drop me, and why not beat them to the punch? It wasn’t until late one night scrolling through Twitter that I found an article that changed my entire attitude on fitting in. The article talked about how those that don’t fit in usually become leaders and successful beyond measures. It discussed how people are generally scared of someone who could be a strong leader and they will try to shun and not include leaders because they see them as threats. The article put a lot into perspective for me. I always wondered why I never was really “in the group.” And I always looked at that as a bad thing. But now I’m starting to realize that maybe it’s a gift that I can relate to so many different types of people and maybe the reason I never quite “fit in” to the friend group is because I’m suppose to be leading and not fitting in. It’s still something I’m trying to wrap my head around, but thinking this mindset has definitely helped me through long nights wondering why I can never truly fit in. I truly believe that everything happens for a reason and maybe you don’t fit in because you are meant to lead and inspire. There is no leader in this world that became a leader because they fit in. Leaders become leaders because they think differently, because they don’t fit into the mold. You will lose so much of yourself trying to fit in when maybe all along you were never suppose to. But by the time you realize that, you won’t even know who you are anymore because you changed so much about yourself to fit in. So even though it gets lonely and sometimes you’ll want to scream just wishing you could be included or wishing you could fit in, I promise you that things bigger and better than fitting in are always in the horizon. And one day when you are sitting in the Oval Office getting ready to pass some new bills, you’ll laugh at yourself for ever wanting to fit in. It’s always easy to blame The Other Woman for infidelities in a relationship. You never think of The Other Woman as a good person, as a girl who was just hopelessly pining for something she couldn’t have, as a girl who never wanted to hurt anyone but just got caught up in the moment. For the first time in my life I became “The Other Woman.” We didn’t sleep together I am happy to say I stopped that, but we did kiss.. Even though I didn’t initiate anything I still have a tremendous amount of guilt on my shoulders. In fact, it takes every fiber of my being not to reach out and apologize and tell her what I did. But even if I did, what kind of credibility do I have now? I’m the selfish whore that seduced her man. She can maybe forgive him and move on, but me? I’ll forever be the homewrecker, I’ll forever be her Monica Lewinsky. But no one stops to think about what The Other Woman goes through. Being sneaked around, being texted only after he’s done being with the girl he actually wants to be with, the long nights waiting for him to leave her. You convince yourself that he cares, I mean hey he wouldn’t have cheated if he didn’t, right? His girlfriend doesn’t even seem real to you, she’s just another obstacle you have to overcome to finally be happy, even though deep down you know that it’s wrong. You tell yourself that it’s not your relationship, he can make his own decisions, why should you care? You tell yourself that you’re so in love that you couldn’t stop yourselves. Yes, you shouldn’t have let him cheat with you, but you tell yourself that it is okay because you two are meant to be together. Everyday you’re checking his Facebook, waiting for him to leave her, and everyday you’re disappointed seeing they posted another selfie together, seeing he brought her home to his family, seeing that they’re happy together and you wonder what happens to you? From firsthand experience, it is a sickening feeling when you realize that he will never leave her. That he will never be with you. That you’ve just become nothing but The Other Woman, easily written off as a whore or crazy or a homewrecker. He took everything from you that night when he made you feel special long enough to get what he wanted. He convinced you that what you were doing wasn’t wrong, that he would leave her, that you’ve always been the one and you believe him because you want it so badly. But the second you make that mistake and give in, he gets everything. He has your heart and hers in one hand but he only has room for one. Now, in his eyes, you’re just another crazy whore who made him cheat on his girlfriend; or if he has a conscience, he could never be with you now because of what you did. Now he owes his girlfriend everything and you absolutely nothing. He could never be with you again because now you’re just a reminder of his infidelity. It’s a no-brainer whose heart ends up getting crushed. He gets it all. He gets to be happy, he gets to find love, he got to have you one last time, he moves on and he’s okay and you’re left broken and bewildered, wondering what happened. Dealing with the guilt and frustration and anger everyday. Even if it goes how you want it and he leaves her.. now you’re stuck with the underlying realization that if he cheated on her, what’s to stop him from cheating on you? The Other Woman never wins. Now don’t get me wrong, I am not justifying cheating.. If I could go back in time and erase what I did I would. I also know that there are “Other Women” out there that homewreck on purpose, because it gives them a confidence boost knowing that they were able to steal this man away. But not every Other Woman is like that. The only advice I can give as a woman who’s been on the other side is don’t EVER let yourself get to that place because you will never come out on top. You should never demean yourself so low that you believe you have to become The Other Woman to find your happiness. Because you will never find it that way. If a man doesn’t respect you or his significant other enough to say no to one of you than will this man bring you real happiness? Be strong and learn how to say no, even if you’re worried that saying no will cause you to lose everything. Because one day you’ll look back and realize you didn’t lose that much. In my last Raw Thoughts post I wrote about being heartbroken and feeling like nothing. I finally read it again for the first time today since posting it and it fueled this post. Every time I go through a heartache I go through a few very dark and scary days. Days where I feel worthless, alone, incapable of love, lost, angry, hurt, bewildered, weak. These days I always wonder if I will ever pick myself back up, move on, and survive. These dark days come and go and once they’re gone I am left with a surprising sense of inspiration and drive. Okay, you must be wondering, how do heartache and inspiration go hand in hand? A lot of people when they get heart broken have different ways of coping. But there’s one phrase and one mindset we should be in after a heartbreak. And that, my friends, is the first seed of inspiration. I spoke in my last post about how my heart was just recently broken. At the time I didn’t want to hear that, I didn’t want to think about never being with him… but now that phrase is keeping me going. I will prove to him that I will be successful beyond measures without him. I will show him that I am a better person than how he made me feel. I will do my best to never let another person dictate my emotions and make me feel like I’m of little worth. Heartaches have helped me so much, they’ve convinced me to follow my dreams, to get my body healthy and happy, to never give up on this blog, to work hard, to love myself. Now I’m not saying this mindset comes easy to me, but if you can survive those dark days right after a bad heart break, I promise you will be able to come out on top and find inspiration from the pain. You just have to remember that the dark days will come and they will be lonely and full of nothing but pain and sadness, but those days make us human. Feeling emotions during heartbreak is natural. It’s what you do after that set you apart from everyone else. If you’re going through a heart break, been through one, or if you ever encounter one, push yourself through the dark days and tell yourself that you WILL prove to the person that so recklessly played with your heart that you can always come up on top. 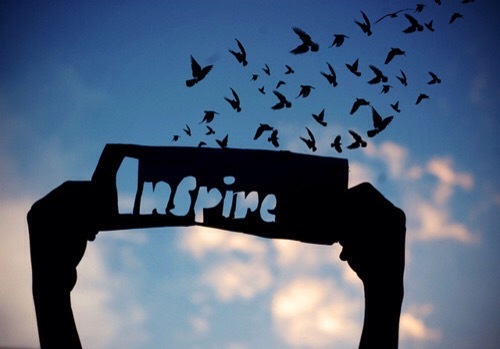 Inspire yourself to do new things and to follow your dreams. Even though the seed of inspiration may start with just simply wanting to get back at someone for hurting you, it will blossom in you and suddenly you’ll find yourself finding happiness and success and you’ll forget about the heartbreak altogether because inspiration will have taken its place. Pick yourself up and get inspired, I know that you can do it. Because the person that hurt you will only get satisfaction in you getting knocked down… But you hold the key to your fate and now have the knowledge that the best revenge is success and happiness. Raw Thoughts: 2:30 am December 5th, 2015. Disclaimer: for those of you who are new to my blog every once in a while I post these things called raw thoughts which are my unedited thought stream when I’m feeling down. I write my stream of conscience and then go back weeks later to see how I’ve grown since then and to reflect. I use these as a chance to really change so I can self reflect on this later. So right now I am just going to close my eyes and breathe and write a bit of my soul out. Just raw emotion and thoughts. I won’t edit this. I will just… Write. I’m so heartbroken today that I feel nauseous and sick. He hurt me again and again and I forgave him everytime because I was holding onto this concept of him I had in my head. Today the concept was completely shattered and it’s shattered my world along with it. When this stufF happens it takes a huge hit to myself image because I think to myself what did I do to deserve being hurt this way why do I have friends that at the end of the day care nothing for me how do I turn myself around how do I get out of this!!!!!!!!!!!!! Can someone please explain to me why this is how we go about dating nowadays? We are so worried about looking desperate and feeling clingy and getting labeled as psycho or feeling rejected that we let that stop us from telling people we care. What if someone you deeply care about gets hit by a bus tomorrow and they never knew that because you were too busy playing games? I don’t know about you all, but that is something very hard for me to stomach. I don’t want to live my life in regret, with unanswered questions. I don’t want to downplay how I feel about someone so that they will “want me more.” If someone doesn’t want to be with me because I showed them I care too much then that person isn’t ready or deserving of me. Ever since I read that article, I started trying to implement this mindset. I try to put everything out there so I can rest easier knowing I tried. After that whatever happens isn’t on me, it’s on the person and how they choose to respond. Sometimes it isn’t easy and I get that. I get that we hide behind games to avoid getting hurt. I get that it is scary being vulnerable. But we miss out on so much trying to protect ourselves from hurt and rejection. Because you don’t want to wake up one day with regret. With knowing that you never had the chance to let someone know you cared because you were too busy hiding or worried of rejection or trying to play the game. and regret sticks with you a lot longer than rejection. I believe that people need the support of others to survive. But I also believe that you shouldn’t look to people for support because they might not always be there and if you are relying on others what happens when they aren’t there? So you can see here that I’m a little confused, so I’ll explain both arguments and see which one you guys agree with more. If you spend your whole life alienating people and living with a “I’m in it for myself” mentality, I believe that it is hard to survive long that way. Life will hit us most of the time with everything it has and sometimes you won’t have the answers to fix it. Sometimes you just need a friend or a family member to tell you it will be okay and everything will be fine because we don’t have all the answers in life and never will but there are people that have more answers then us sometimes. It’s okay to look to people for support. I think it’s even healthy to do so. But what happens when you lean to someone for support and they reject you? Then that builds a pain that’s even worse than what you originally felt because rejection is never an easy pill to swallow, but rejection when you’re already in pain, it ruins you. And now you’re trying to figure out how to pick yourself and put yourself back together on your own when you thought you had a support system. Then the loneliness kicks in and you’re worse off then ever. This is when you get settled in that “I’m in it for myself” mentality. It only takes one time for you to harden yourself against outside support. But can’t that be a good thing? You’re strong as a person. You picked yourself up on your own, and now you have the satisfaction of knowing that if life hits you hard again, you’ll be okay because you made it through once on your own. So that’s where this gets hard. Do you turn to people for support? Or do you just fend for yourself? I know one thing, that it is one of the worse feelings to feel alone. To be abandoned in a time of need. To realize you can’t count on anyone you thought you could. But it also hurts to keep things inside, to close yourself off to people and keep everything inside. So I want opinions because this is one of life’s many question marks that I don’t have an answer to. Should you turn to others for support or are you in it for yourself?